Ho Ying was 6 years old when she first picked up the wooden bat. Little did she know that this would soon launch her to international fame and that she would be awarded a spot in the Malaysian National Table Tennis team. Ho Ying (fifth from right) showing off her proud medal with the Malaysian table tennis national team. Born in Pontian, Johor Bahru, Ho Ying, first discovered her love for table tennis after she was introduced to the sport by her father. Since then, she developed her natural talent by attending trainings and competing with adult players, and consequently moving on to competitions. Through her achievements in tournaments, Ho Ying caught the attention of the Table Tennis Association of Malaysia (TTAM), who presented her with the opportunity to join the national team at the tender age of 12. Ho Ying turned down the offer due to her UPSR examinations that year, but continued participating in competitions, and eventually went on to join the national team two years later. She has not looked back ever since. Currently on a sports scholarship for her Diploma in Business Studies at INTI International College Subang (INTI), Ho Ying is skilled at managing her time as a national athlete and as a student. She has a rigorous schedule which she strictly abides by on a daily basis and still finds time to indulge in her other personal interests. 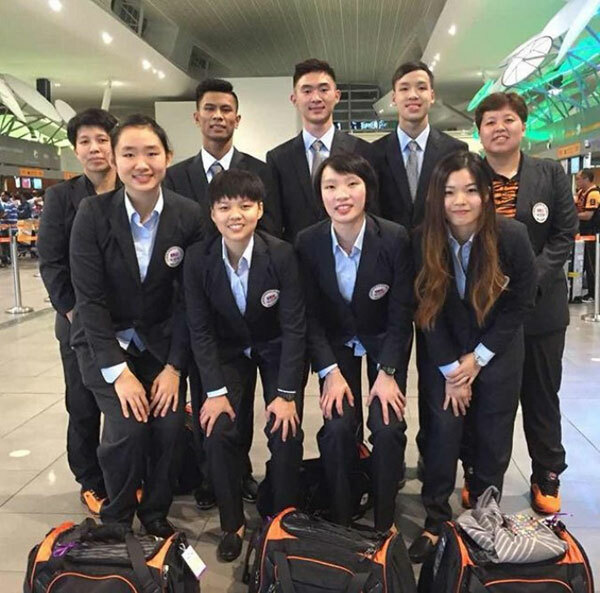 Ho Ying (bottom right) posing for a group photograph with the national team before boarding the flight to Australia. “I train 6 days a week, 11 times weekly. My weekday training sessions are twice a day with the first beginning from 7am to 9am, and another from 3pm to 5.30pm. I train every Saturday too, from 8am to 10.30am, and I rest on Sundays. Our training frequency increases to three daily trainings, as we draw closer to a competition,” states Ho Ying, who also explained that the national team’s training session comprises of sessions focusing on agility, strength, cardio and mastering ping pong techniques. Ho Ying recently bagged an unexpected bronze medal with teammate Karen Lyne, at the Gold Coast 2018 Commonwealth Games. 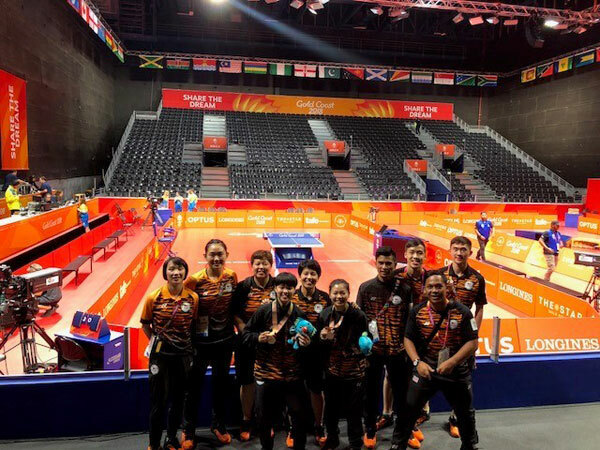 Of the 24 medals Malaysia successfully won at the 2018 Games, Ho Ying and Karen earned Malaysia’s first table tennis medal won in an individual event. Ho Ying also has a silver medal from the Glasgow 2014 Commonwealth Games and a bronze medal from the Kuala Lumpur 2017 SEA Games, under her belt. Despite her hectic schedule, Ho Ying actively pursues her interests in the arts as well. Ho Ying dances, plays the keyboard and picks up other hobbies such as electronic drumming and creating beats. Already ahead of her time in maintaining discipline, one can safely say the time is ripe for Ho Ying in the national team.